#editfilms#editgif#editkatie#films#girlcrush#gorgeous people#jodi rutherford#katie mcgrath#leading lady#mine#my creations#why so perfect? 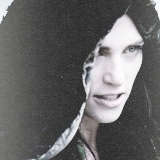 #Merlin BBC#Merlin series 5#Morgana Le Fay#TV shows#arthuriana#editgif#editmerlin#girlcrush#gorgeous people#i love ♥#katie mcgrath#merlin#mine#morgana#my creations#she was so stunning in this epp I can't even#why so perfect? #aaah look at her face#asfdasffgjasghshasjk#comic con#editcelebs#editgif#editkatie#favourite moments#geeky katie is the best katie#girlcrush#gorgeous people#gpoy#i love ♥#katie mcgrath#katieweek#kmweekmeme#love love love#mine#my creations#san diego comic con#sdcc 2011#she's just like us#why so perfect?